castillo/corrales is a co-operatively run, non-profit contemporary art venue that includes an exhibition space, a bookstore and a publishing house. Established since 2007 in Paris – Belleville, it is managed by a group of artists, curators, writers and graphic designers. 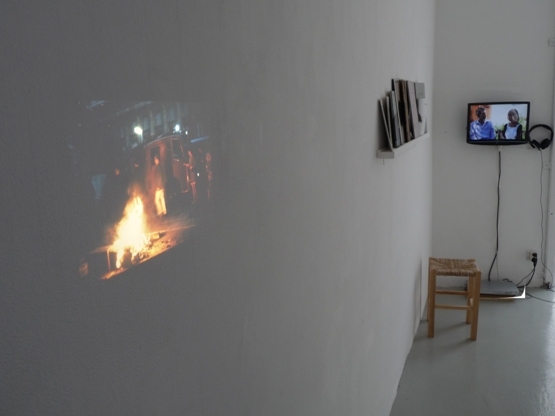 castillo/corrales was conceived as a new type of art institution, one that provides artists, professionals and audience with an intimate and informal environment conducive to experimentation, discussion and learning. 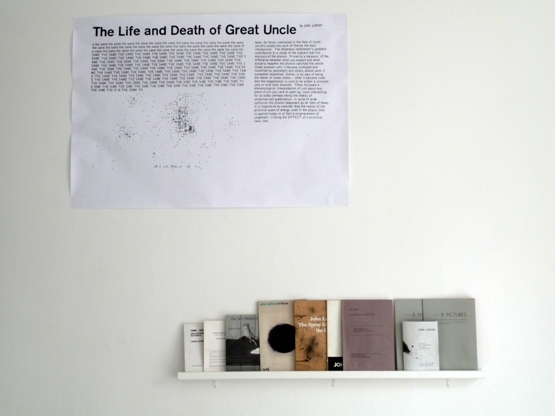 This website presents the current and past exhibitions in the gallery space and elsewhere, as well as the events and some featured publications at Section 7 Books, the books of Paraguay Press, and our ongoing series The Social Life of the Book and castillo/corrales today. Visit the online store, get in touch, or SUPPORT us. 52, AVENUE PIERRE-BROSSOLETTE, MALAKOFFORANGE EXPORT LTD.
What could make this building beautiful? 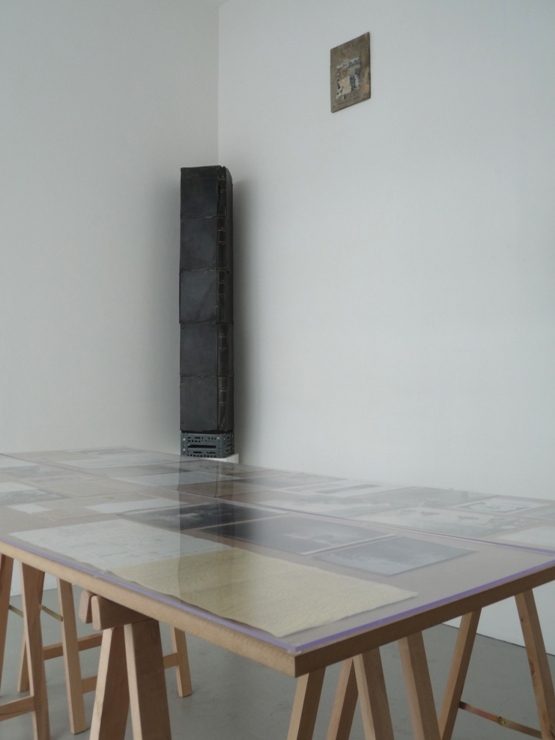 While our last exhibition has been our largest group show ever, the new exhibition at castillo/corrales focuses entirely on a single work — John Latham’s Skoob Tower. 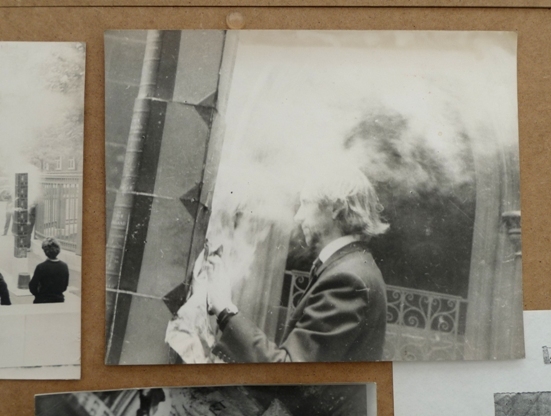 A complex and controversial—visionary for some, eccentric for others—figure of British conceptual art, John Latham (1921-2006) rarely exhibited his work in France; if we are not mistaken, it has not been shown around here since 1996 and the exhibition “Life/Live” at the Musée d’Art moderne de la Ville de Paris. 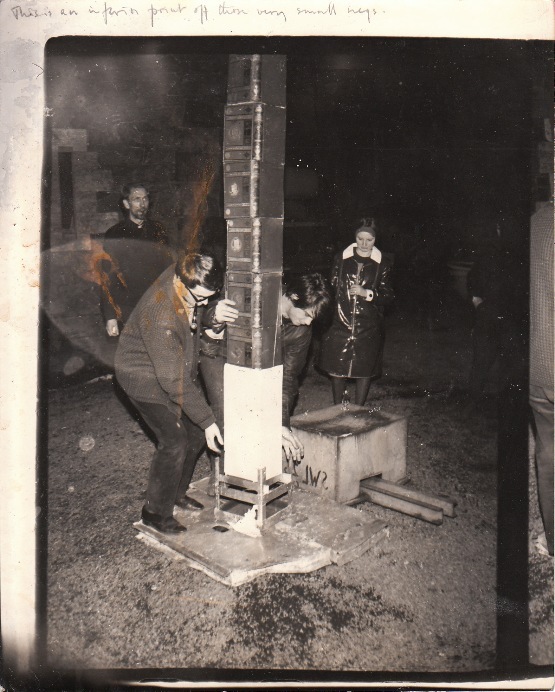 A totem, a monument, theSkoob Tower is first and foremost a relic, one in a series of sculptures Latham constructed to be burned during public ‘ceremonies’ starting in 1964. 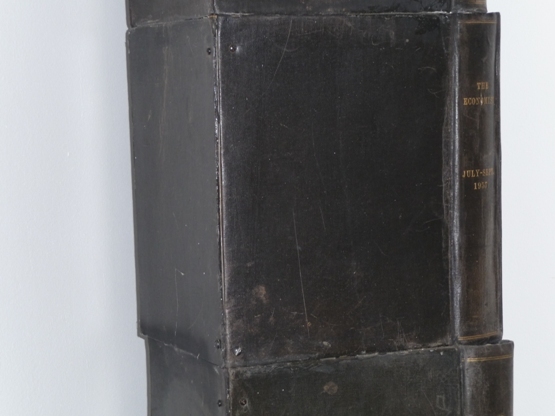 A metal armature stacked with printed matter, in the case of the version exhibited at c/c copies of The Economist, the Skoob (spell it backwards) Towers bring to mind Autodafes, the destruction of knowledge, but Latham conferred on them a different, equally iconoclastic, dimension in relation to his Time-Base theory. Latham’s paradoxical use of books and printed material, destructive but highly ritualized, points to his distrust toward the effectiveness of verbal communication. This is probably why his statements and titles for his works were often generated through word associations, one slipping into another, reversed or dismembered, acknowledging the influence of Joyce’s Finnegans Wake as an infinite wandering through language. 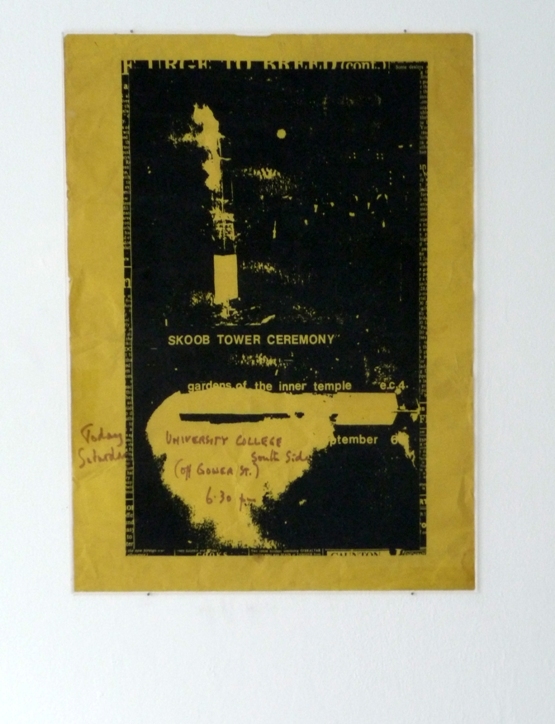 The exhibition “Into the Noit” at castillo/corrales presents the Skoob Tower surrounded by an abudant selection of archival documents (films and photographs, books and papers) from Latham’s own archive, related to the Skoob Towers ceremonies. It will also host, on the day of the opening, a session of the Noit School—a research group dedicated to the study of Latham’s theoretical and plastic work—in presence of the artist’ s son Noa Latham. ‘Noit’ stands for the reversal of ‘Tion’, a suffix generally converting actions into abstractions, or the reduction of ‘no it’, or ‘no thing’. The Noit School session will take place on Saturday the 5th of June, at 3 PM. It will be documented on video and subsequently added to the show. This exhibition is a joint initiative of castillo/corrales, Antony Hudek and Elisa Kay. 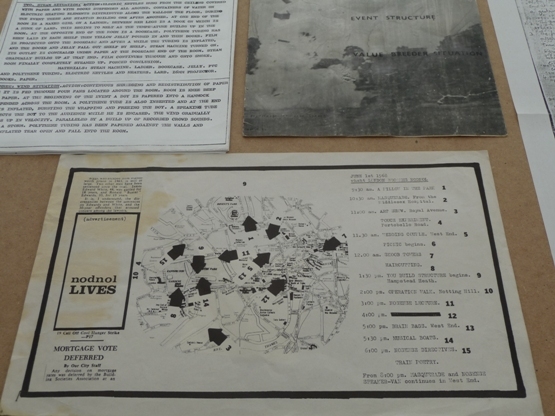 Supported by Flat Time House / John Latham Foundation, Ligatus, University of the Arts London and Lisson Gallery, London. Thanks to Amélie Deschamps, Charlotte Moth, Mathilde Villeneuve and La Vitrine for supplying precious technical support.